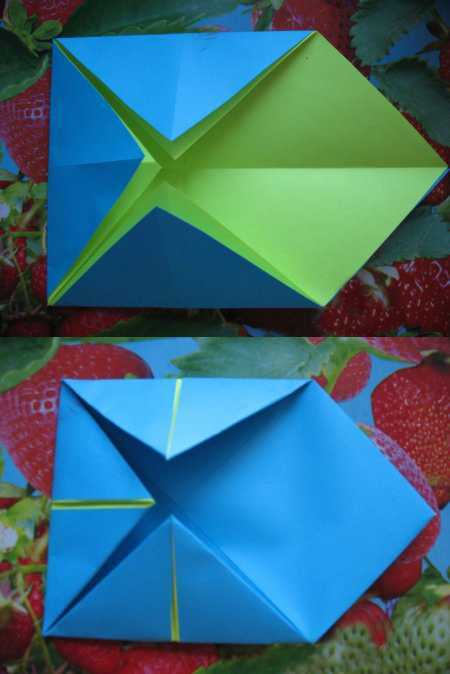 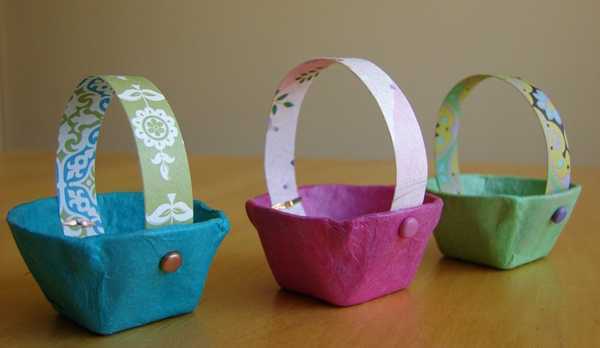 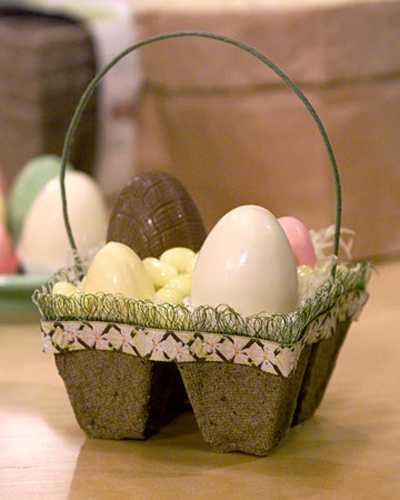 These very simple Easter basket designs are quick to make, inexpensive and festive. 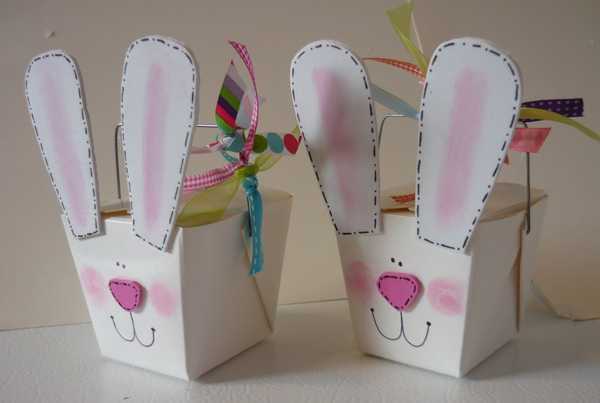 Made of colorful paper, the Easter baskets looks attractive, contemporary and elegant, making wonderful gifts or table centerpieces. 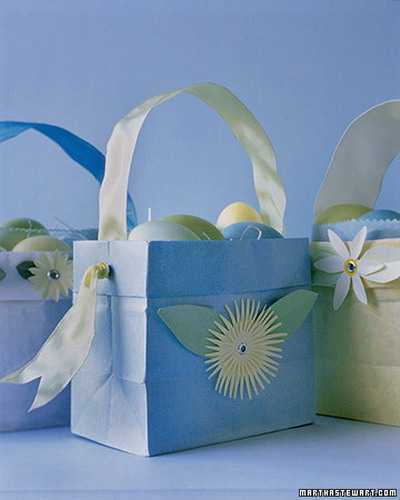 Handmade Easter baskets, created with colorful paper, are another way to enhance Easter eggs decoration ideas and add festive items to spring holiday decor. 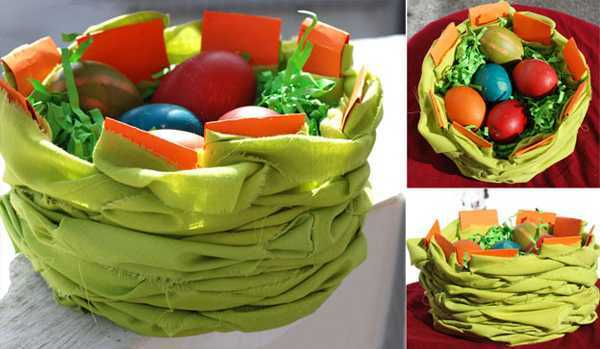 Very simple, but creative and attractive Easter basket idea save money and offer interesting and unique home decorations on a budget. 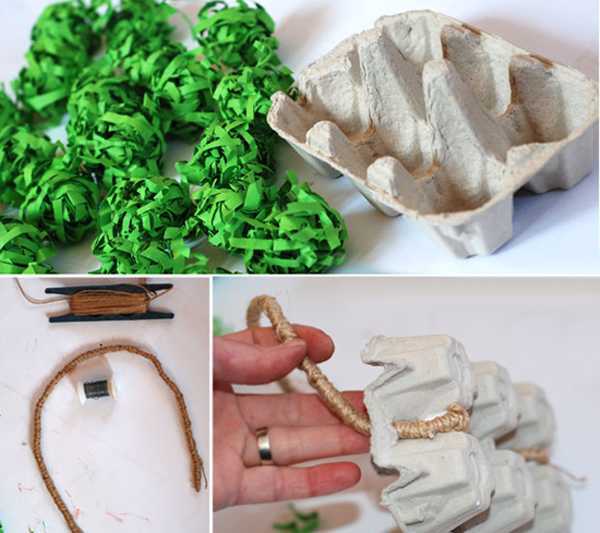 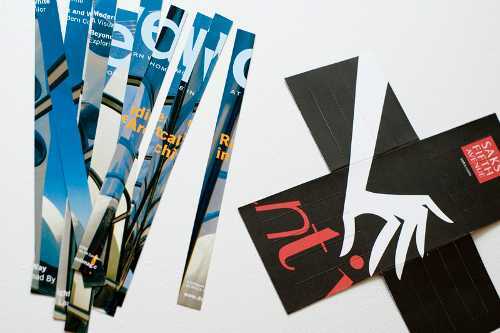 Decorating design ideas are limited only by your imagination. 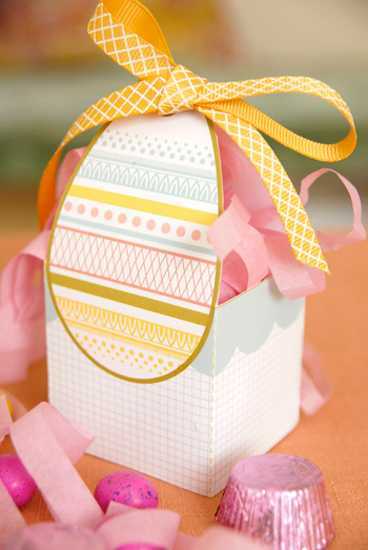 You can add paper appliques and glitter, ribbons and fabric to these colorful Easter baskets, select monochromatic or contrasting colors for original and bold paper craft ideas. 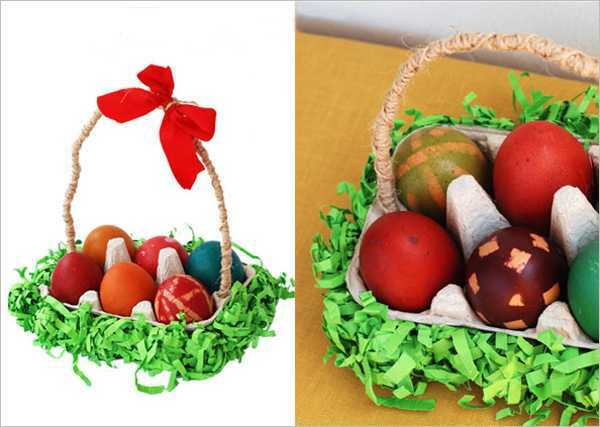 Choose whether you want an Easter basket in a single plain color or a bright, vivid and impressive basket design. 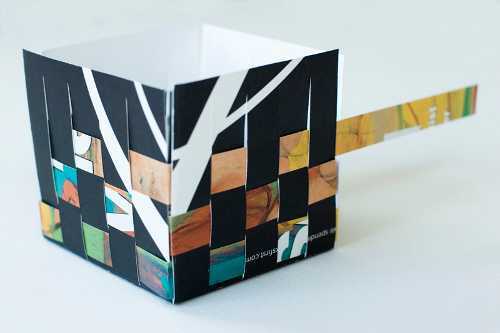 Also additional decorative details can be selected according to your personal taste, favorite color combinations and style. 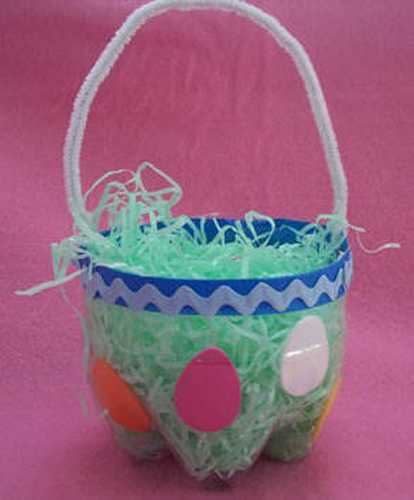 Handmade Easter baskets are excellent Easter ideas that bring inexpensive and functional holiday decorations and kids toys into spring homes. 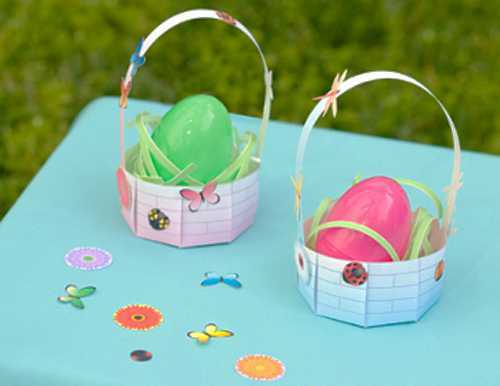 Children can play with these bright, light and attractive Easter baskets, creating different displays with their favorite small toys or sweets. 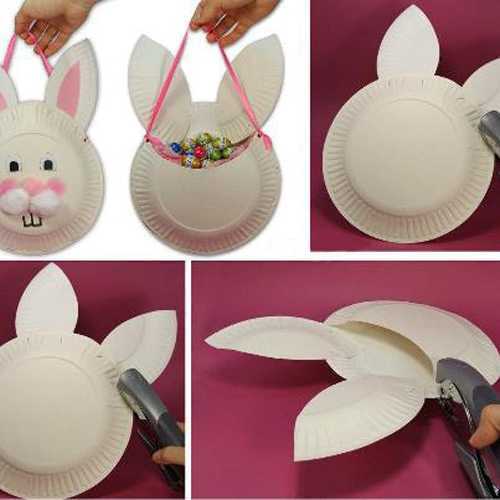 Instead of buying the traditional basket, experiment with one of these unusual basket designs and personalize your paper craft in unique style for creating one-of-a-kind Easter decoration. 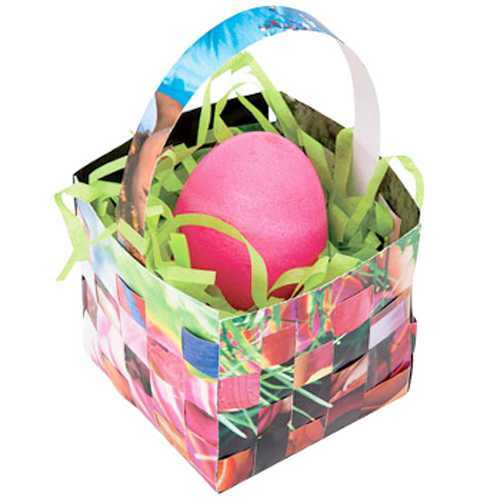 There are many other great Easter basket ideas. 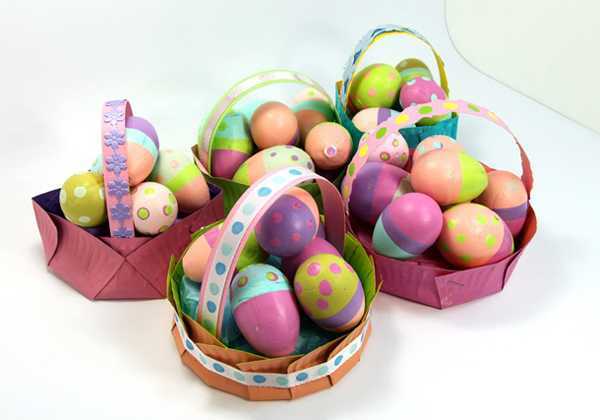 You can use custom-made grocery carts, personalized plastic and tin buckets, fun wagons, hats, purses, and many other items for decorating your home in spring. 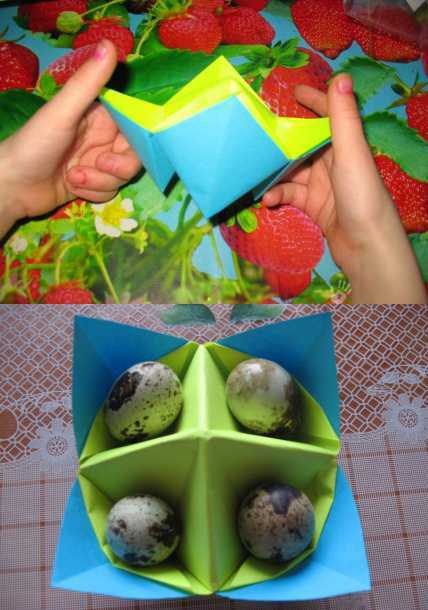 The possibilities are really endless.